Highlander’s Mum made it her mission to prepare balanced meals for the family as much as possible. Vegetables were frequently included as a side dish. She encouraged Highlander to continue healthy eating habits when he grew up, moved away and lived on his own. So she gave him a cookbook, Healthy Home Cooking, as a bachelor gift. 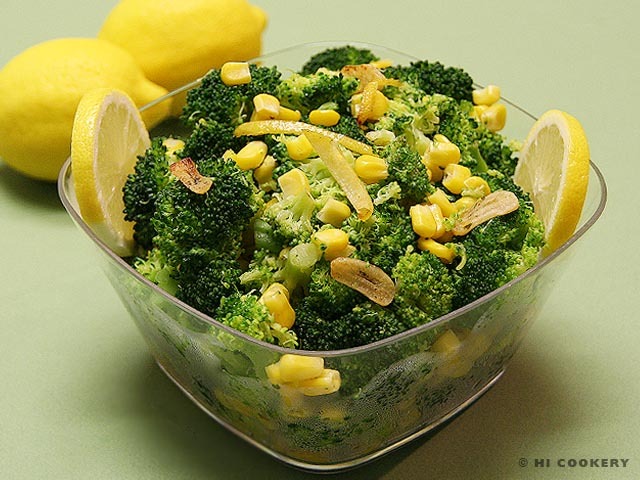 Since he loves broccoli, Highlander mixed it with corn, garlic and lemon by following one of the recipes in the cookbook. He also prepared it for his finicky wife, Islander, who came to love the color contrast and taste of this vegetable mix as well. Declare your love for broccoli today with this dish! Peel the lemon in three wide strips. Slice the strips thinly to yield about one tablespoon of zest. Reserve half the lemon for its juice. Fill a large skillet with half an inch of water. Cover and bring to a boil over the stove top. Cook the broccoli, turning occasionally, for about three minutes. Add the corn and cook everything for another minute. 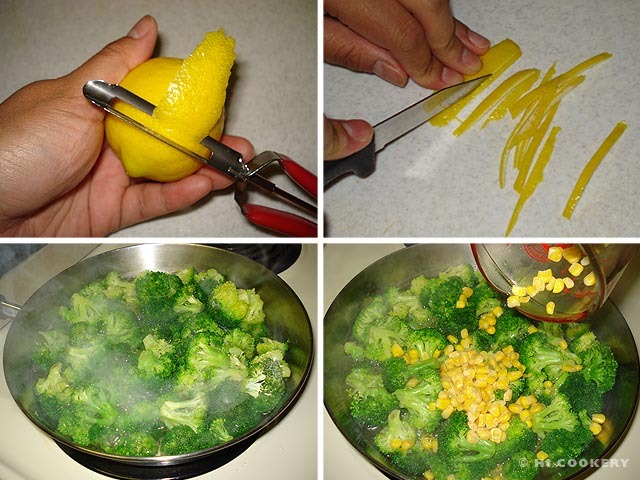 Drain the cooked broccoli and corn in a colander. Transfer to a serving bowl and keep warm. 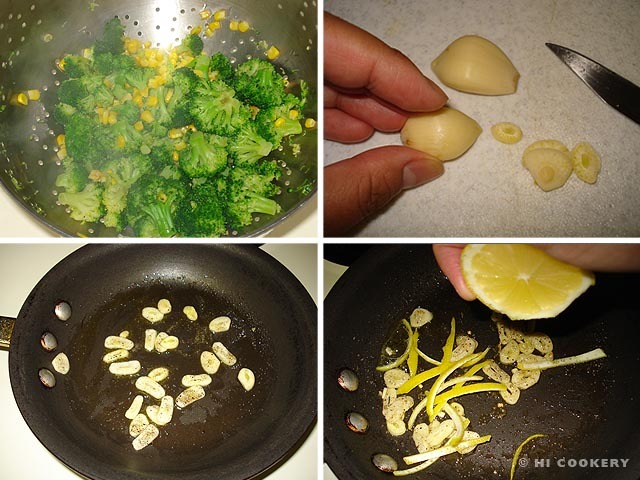 Slice the garlic cloves into thin pieces. In a small skillet, saute the garlic in the oil over medium heat. Sprinkle with salt and pepper. Mix in the lemon strips. Squeeze about a tablespoon of lemon juice into the skillet. Remove from heat and pour the garlic oil mixture over the broccoli and corn. Serve hot and fresh as a side dish. Thanks to Mum for the cookbook. “We Love Broccoli Day” is observed on March 22, according to the calendar on the site Holidays for Everyday.